When starting out as a freelancer, negotiating the tricky world of how much to quote to potential clients can seem entirely bewildering and confusing. How do you pick a number? Do you charge per hour or per piece of work? And are the numbers you are quoting realistic? Deciding what your hourly rate should be, how much to charge for a press release or a direct marketing package and how to avoid falling into the pitfalls of asking for too little are all discussed in this solo podcast episode. Hello and welcome to episode 23 of A Little Bird Told Me: the podcast about the highs, the lows and the no-nos of successful self-employment. I’m Philippa Willitts and today I’m going to be talking about how to decide what to charge as a freelance writer. This is solo episode, so I’m here without my usual co-host Lorrie, but we’ll be back with a dual episode next week. Now, different people listen to this podcast in different ways. So, the best place to find us if you’re unsure is at alittlebirdtoldme.podomatic.com. That’s where you can find all the links to suvscribe via RSS, iTunes and Stitcher. You can also find a link to our Facebook page, as well as all of Lorrie’s and my websites and social media links. So do that, no matter where you’re listening to us right now, check us out in those other places to make sure you never miss another episode. I’m coming to you today from a very snowy city, which makes me incredibly happy to work from home. I don’t’ have to deal with all the cancelled buses, and slipping all over the place – it makes freelancing very enriching and rewarding on days like this! So, anyway, as I said, today I’ll be talking about how to decide what to charge. Setting your own rates when you’re starting out as a freelancer can be very confusing. I know I was so confused when I started: I didn’t know how to charge, what to charge, what was reasonable…I just had no idea. 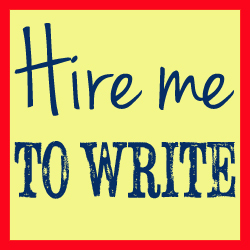 Luckily, I had some very well established freelance writers who helped me a lot. I didn’t want to know their numbers: it didn’t matter so much to me what they charged. What confused me was the process: how did they get to that figure? And thankfully, like I say, some really helpful people explained it to me, so I’m going to go through the process with you today. And, actually, in two weeks’ time – in Lorrie’s solo episode – she’s going to be talking about how to increase your rates. But what I’m talking about today is how to set your rates initially. So, the first stage in setting your prices is working out what you want to earn – and indeed, what you need to earn. There are two main ways of charging, which I’ll go into later, and that’s to charge hourly or by project. But whichever you choose, you have to start by working out how much you need to earn. 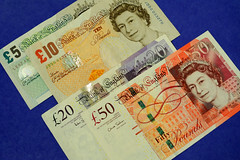 So, do you want to earn £200 a week? £500? £800? Choose something realistic, don’t underestimate – you’ve got to consider your bills, your expenses, all that kind of thing. So once you have a figure of how much you want to earn per work, you need to work out how many hours a week you want to work. After that, look at how many hours per week you need to spend doing non-chargeable work, so things like invoicing, admin, marketing, updating your website etc. Then – and don’t worry, this episode isn’t all maths! – minus this number from the number of hours you want to work as a whole, you will be left with the number of “writing hours” you have. You may want to work 40 hours a week, 15 of which will be spent doing non-chargeable work. Then, divide the amount you want to earn by this number of writing hours, and you have your hourly rate. If that sounded complicated, do rewind and listen again. Essentially you need the number of hours you can spend writing per week, and how much you want to earn per week. 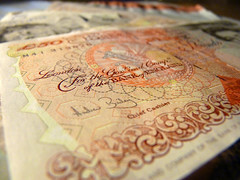 To make it a simple calculation, say you want to earn £200 a week and write for 10 hours, then your hourly rate is £20. Now, some people prefer to do calculations by monthly or even annual earnings, but it follows the same pattern. If you work things out and you don’t feel confident about whether or not the rates you are charging are reasonable, do an online search for other freelancers and take a good look at their rates. If nothing else, you will reassure yourself with the fact that there are no “set” rates for anything! 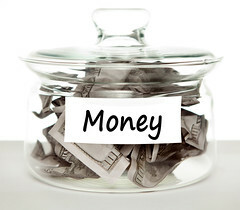 Some people seem to charge a fortune; others seem to charge virtually nothing. But looking at others’ rates, or indeed rates recommended by industry bodies or professional societies, can help you to work out whether your own rates are fair and reasonable. 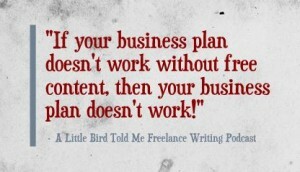 Having said that, don’t look at the rates writers charge on freelancing sites like Elance and freelancer.com. 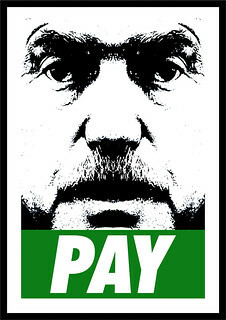 They will lead you to believe that you have to sell your soul and virtually pay other people to get work. It’s not unreasonable to want a decent hourly rate, but those kinds of sites will lead you to believe it is. Some people like to set their rates just slightly below their peers’. So if everybody seems to be charging £50 for a particular piece of work, then charging £48 can actually put you at an advantage. There are a lot of clients who would go with you simply because you’re cheaper, even if it is by a very small amount. However there is also psychology at play here, and it can also have the opposite effect, with potential clients assuming that you charge less because you are less talented or capable. When I first started out, a very well established freelance copywriter very kindly gave me some much-appreciated advice. One of the things she told me was that for big corporate clients, those with massive businesses, you should actually consider upping your rates a bit. Not, as I initially thought, because they could afford it, but in fact because if you approach them with very low rates then they won’t take you seriously, and they won’t think you are any good at your job. So pitching your price exactly can be a tricky business, and it might be that you change your rates when you are getting established, over time, as you get more of an idea of how it all works, and that is completely fine. So, it’s now time to look at the different options you have for charging. There are two main ways to price your work, and they are to charge hourly, or to charge per project. First, I’m going to look at charging hourly. Now, this isn’t how I work – but Lorrie, my usual co-host, tends to work with hourly charges, so the first thing I did was to ask her why – and what the benefits were. So that was Lorrie on why she prefers hourly charging. So let’s look more deeply at hourly charging. Now, one benefit of hourly charging is that you’re kept safe from a project suddenly taking a lot longer than you expect. If you get commissioned to do a normal blog post but it turns out to need several interviews and lots of hours of research, you’re safe in the knowledge that you’ll be paid for all the work you do. The risk with that, though, is that, as you become better at your job and more adept at what you’re doing, you actually risk being paid less and less over time for the same work. Because, if when you start, a blog post takes you two hours, but you only need 45 minutes once you know that client better, you’re doing the same or better work but getting charged less. Going back to the benefits, it’s also good if you’re new to freelancing, and you don’t know how long certain jobs are likely to take you. You might have experience writing articles and blog posts, for example, but if you get asked for a case study and you’ve never done one before, it’s really hard to work out a “per project” fee when you don’t know if it will take you 20 minutes or four hours. So, charging hourly does offer safeguards for a freelancer. However, I choose to charge by project. The way I work out what to charge per project is to go back to that initial calculation of what I want to earn for an hour’s work, then work out (as best I can) how long different pieces of work are likely to take. So, if writing a press release would take me three hours, then it would be three times my hourly rate. If something else takes me half an hour, then that’s half my hourly rate. I find that clients often feel reassured because they know they are not going to get an unexpectedly large bill – it feels kind of like asking that client to write a blank cheque if you say, “Yes, I’ll do this work for you, and you pay whatever I charge you in the end.” They tend to want to know in advance how much they’ll be paying. Now, the way you work this out might vary. You might set a price per 500 or 1000 words of writing, or proof-reading. For instance, I have a set fee for 1000 words of proof-reading. I have a set fee for a 500 word blog post. That kind of thing. You also might charge per item – which might be per press release, per website rewrite, per case study etc. I have a mixture: I have press release and case study fees, and I also have number-of-words fees for website copy and things like that. You do have to be a bit more careful, when charging per project, to make sure you have ALL the details of what is going to be involved – how much research, will you need to conduct interviews, how big will the end product be, is the topic familiar to you, will you need to collaborate with others, such as designers, SEO people? That adds a lot of time. If a client comes to you with a big project, they’re all things you need to be able to work out in advance so you can come up with a quote about how much it’ll probably cost. So, that’s why I charge per project. I feel clearer knowing exactly what I’m getting; it makes quotes easier; it reassures clients that they’re not going to get a massive invoice, and we all know where we are. However, as Lorrie explained, she much prefers to charge hourly in general. So, it all really, really depends on what you feel comfortable with, what your clients react well to. Perhaps even try a bit of both when you start out, and see which you prefer. When looking at how to set your fees overall, I can’t stress enough how important it is to factor in self-employment related costs, because – unlike in salaried work – you’re not being paid for admin time, holidays, equipment etc. Also, if you’re in the States or other countries you will want to factor in things like health insurance. So make sure they’re included in your original calculations. Other things to bear in mind is that you are entitled to charge extra for rush work. You might want to add 50% to your fee, or whatever suits you – again, I’m not giving you numbers, but more how you go about coming to figures that suit you. As long as it’s agreed in advance, you can also charge more for late payments. It’s also important, when talking to new clients, to be clear how many revisions are allowed, and how extra revisions will be charged. A lot of people include one or two – if the client wants more, if you’ve agreed in advance that they’ll be charged at a certain rate, you won’t find yourself being taken advantage of by a client on their sixth revision because you didn’t specify in the first place. Also, if you have a very specialist subject, you may find you can charge more for specialised work that few people could do. Even if it’s not specialist work, don’t ever undervalue your talents and your skills. Stick to your guns. Don’t be bullied or persuaded into reducing your rates, especially on spurious promises like, “Oh, if you do this, we can bring you a lot more work”. That very rarely happens, but even if it does, they’ll probably argue with you about price again. Extra work isn’t in your interest if it’s all at a very low rate. You might decide to lower your rates for, say, non-profits, but if actually the majority of your clients are non-profits then this becomes unsustainable. If you want to, then do offer discount or mates’ rates if you really want to, but don’t feel obliged to. Particularly, don’t feel obliged to take on, say, more than one “mates’ rates” project at a time. 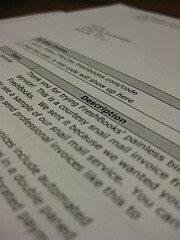 I reduce my fees for non-profits, and on proof-reading for students. But, if I found that the majority of my income was based on proof-reading for students, that would be unsustainable, so be careful. 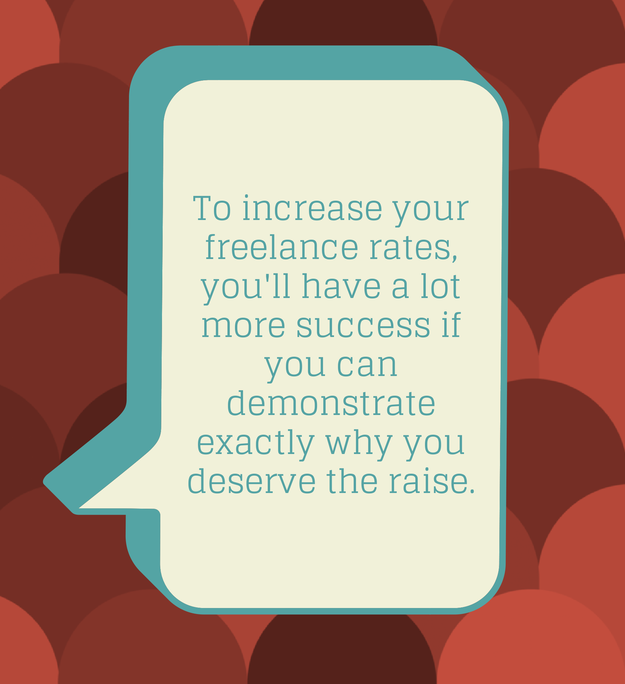 So, I hope that’s answered a few of your questions about how to set you rates for freelance writing. Whether you go with hourly rates, project rates or do different ones for each project, the important thing is to go with one that works well for you. A system that’s easy for you, so if someone contacts you wanting a quote, you can respond pretty quickly. But also, one that’s fair to you – don’t offer stupidly low prices to get work and end up not being able to pay your bills at the end of the month. Let us know what you think. Pop over to our Facebook page, contact us on social media. All the links are at alittlebirdtoldme.podomatic.com. We love to hear from you – we know we’ve got some brilliant listeners all over the world and we love to get your feedback. So I hope that’s been helpful! I’ve been Philippa Willitts, and I look forward to seeing you next time!